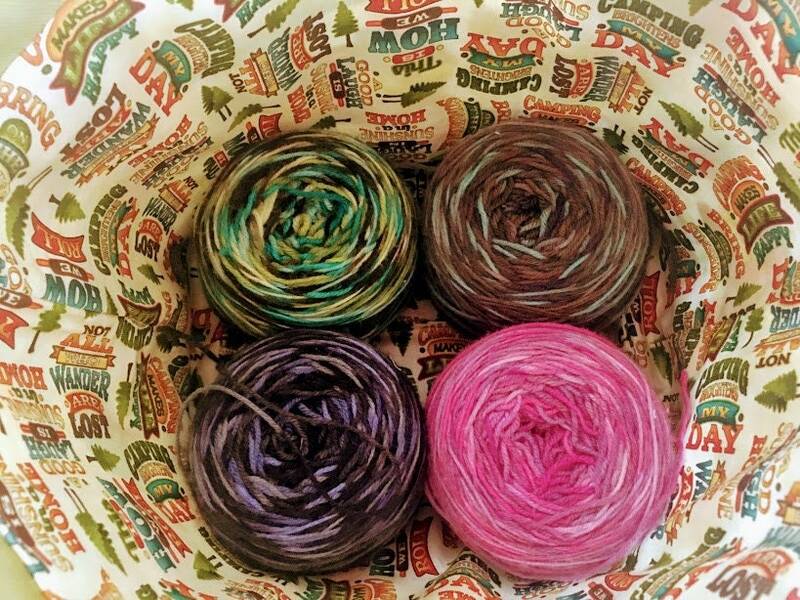 This large drawstring project bag is perfect for large works in progress such as sweaters. 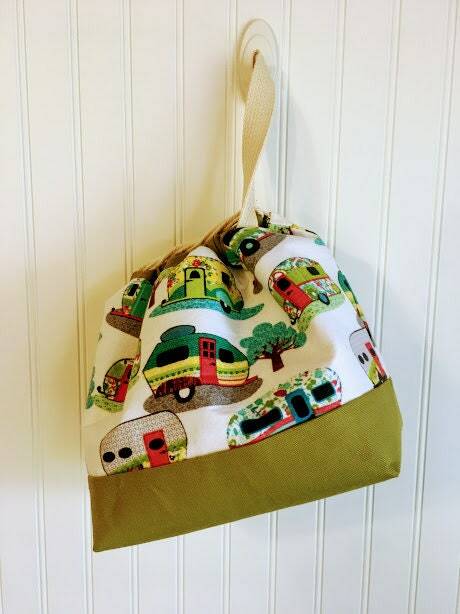 It features a fun patterned campers fabric and green twill bottom and top. 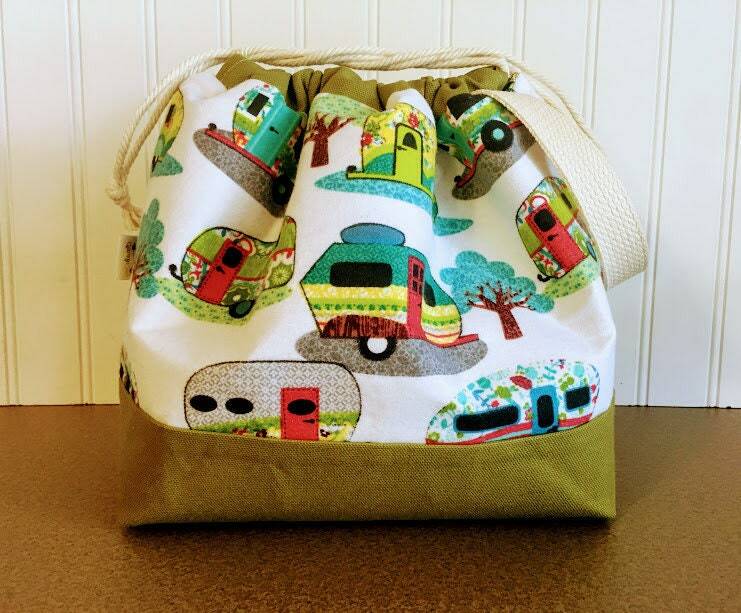 The bag is lined in a camping themed patterned fabric. This is going to be Xmas gift for my mum and I know she is going to love it. Oh, my. This bag is wonderful. Nice fabric and workmanship. Great size for larger projects. Oh my gosh! 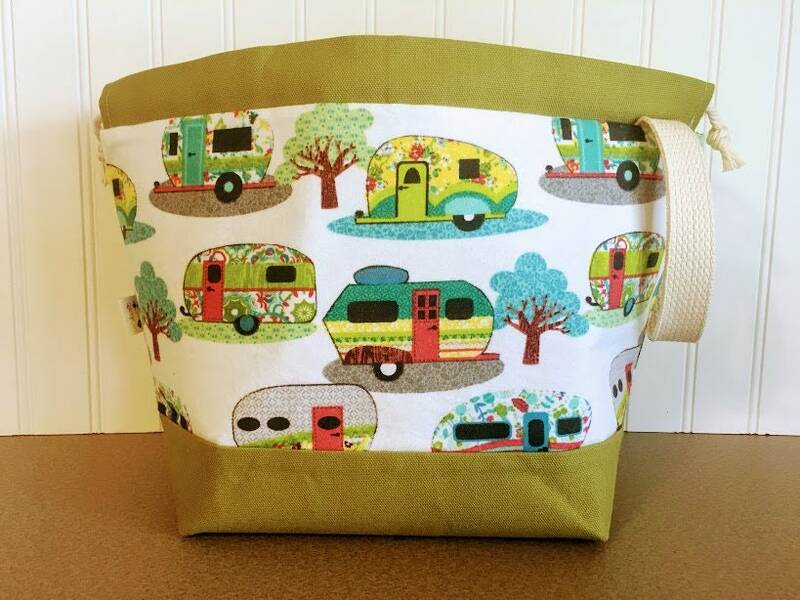 Received this bag today, along with the camper zipper pull and some other stitch markers! 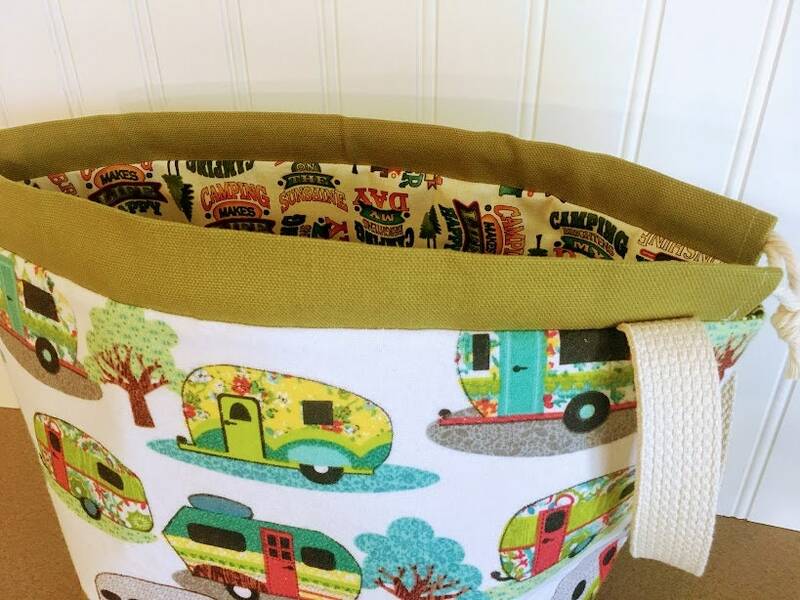 This is a perfect bag for bigger projects and for when we go camping. I LOVE IT!